U-Exist decided it's time to bring a fresh approach to the worl or orthopaedic and prosthetic devices (picture courtesy of U-Exist). As most of you know, I am a strong advocate of bringing a fresh wind with a more personal touch and a wider personal choice to the prosthetic world. Artificial limbs and other prosthetic devices do not need to be skin-coloured boring tools that are designed according to purely practical considerations. So since the start of The Active Amputee I have regularly featured companies that broke new ground, provided prosthetic covers and enabled people with limb differences to develop their personal style and proudly wear their artificial limbs in public. 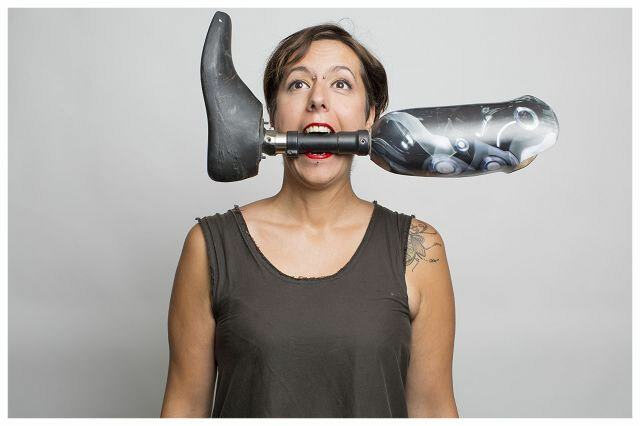 I would like to introduce U-Exist to you, a creative company from France that adds its vision and voice to the ever growing movement of personalized prosthetic devices. Here is my interview with Mrs. Cindy Habchi, responsible for social media within the U-Exist team. If you have to sum up U-Exist in one sentence, what would that be. Sounds great, so let’s hear a bit more about U-Exist. What is it that drives you? What is it that you want to bring to the amputee community, the community of people with limb difference? U-Exist has one main goal: To enable everyone to express him or herself freely! We want to bring a new way to see a handicap; a way that defends the rights of each disabled person. We want to rebuild, want to help each person to express his or her individuality, his or her creativity and feelings. For that, we believe that fashion has the power to change the way we as a society look at disability today. Sometimes it’s difficult to accept, but orthopaedic devices can become a way of expression; a reflection of someone’s personality through customization. Just like an able-bodied person chooses his or her t-shirt, a disabled person has the right to choose the design of his or her orthopaedic devices! Democratization by fashion, that is that we want. Can you tell a bit more about the people behind the company? Who are they and what are their backgrounds? And how did they get into this field of work? We are a small but passionate team of four people. 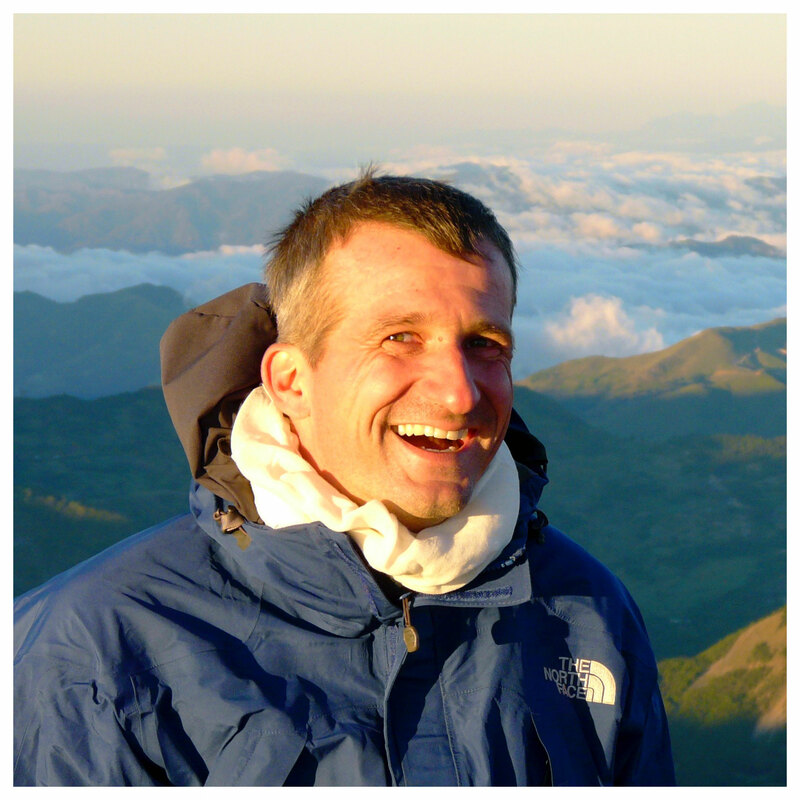 U-Exist was launched in 2014 by the emblematic duo Simon Colin and Amandine Labbé. When Simon graduated as a prosthetist, he was shocked by the cold and sanitized design and appearance of orthopaedic devices, leading to the exclusion of people with disabilities, pushing them to the margins of society. So he started to think about changing the aesthetics in the orthopaedic world! With strong influences from his artistic environment and his love for tattoos, Simon asked himself: Why not personalize orthopaedic devices the same way you personalize a tattoo? At that time he met Amandine Labbé, a stylist in luxury goods and a graduate from the ESMOD fashion school. She grew more and more interested in his vision and soon joined Simon. “Access to fashion needs to be universal”, she thought. And that’s how the U-Exist team was born. Simon Colin, the founder, is the technician, the orthotist and prosthetist. Amandine is the stylist and artistic director. And by now we also have Baptiste Jules as a salesman and myself, Cindy Habchi, the person responsible for (digital) communication. In how far are amputees and people with limb differences involved in what you are doing? In how far have their experiences - around prosthetic issues as well as around psychological issues, identity, body image the like - informed your work and the underlying concept of what you are doing? We love to see when our users understand that there is no limit. When they understand that they have the possibility and the right to play with their prostheses and ask everything they wanted to develop their style and express their personality. This reminds me the story of one of our clients that customized his protheses two times with us. The first time, he was really shy and asked something quite discrete. The second time, we almost didn’t recognize him. He was so much more self confident and asked a bigger and bolder, more personal – and in many ways much more daring - design. In most cases we can clearly see that customization helps our users with the acceptance of their prosthesis. We see how the user's perception about the handicap changes and this encourages us, too. There’s a reason why the most frequently asked question to our clients is “Your design is super cool; why did you chose this one?” A decorated prosthesis allows a dialogue beyond handicap. This inter-action that break down barriers and opens up a wider conversation, that’s one of our main goals and that’s what drives our work. When I look at your website and some of your other public relations material, I often hear you speak about three leading lights in your work. A bit like mantras. The first one clearly states that for U-Exist the human being is the central focus point of everything you do. The pivot around which your strategy is designed. The next one is what you call the democratisation the vision of handicap. And last but not least there is the strong emphasis on fashion, on design and art. It would be great to learn a bit more how these three cornerstones shape your strategy for the company and how they guide your day to day operations. You’re totally right :) Because we strongly believe that handicap is social! We need to see handicap as social. Behind an orthopaedic device, there is a story, an individual human being with his or her identity in a given social environment. So considering this personality, the taste, the story of our users, everything that makes them unique – all these criteria are essential and drive our services. This perception about a handicap and the need for it to be democratized - and as we said before-, we believe that fashion and art are the best way for that. So, naturally these three strands go hand in hand. Talking about art: I hear that some of your prostheses are on show at the "Musée de l'homme" in Paris. How did you manage that? OMG ! That’s was our first reaction. It was in 2015 for the reopening of the museum after six years of renovation work. The theme of the museum was to question the evolution of the human being. We were contacted to give some of our customized prostheses to be on display in the last section of the museum: "Where do we go?" This section mainly focuses on transhumanism. We’re really proud to be part of such an important museum. When you look back at the history of U-Exist so far what have been the most challenging moments? And how did you tackle them? It was certainly the beginning. The world of disability, especially the field of orthopaedic devices is not used to the art, not used to the fashion world in its environment. In addition we are a start up. So we were not taken seriously by the professionals in this field. We had to prove ourselves in the first couple of years. But through constant communication and through our participation to important events of the orthopaedic world we have managed to affirm our presence on place ourselves on the professional map, so to speak. Today almost all French orthopaedic groups use our services and we start to internationalize. The world of orthopaedics increasingly understands the desire of clients to express their individuality. And with this goes the need for cool designs. But despite these positive developments, there is still some way to go. Things are starting to move, though, and that’s cool! In a similar way, what have been the most rewarding moments? The times when you felt you made important progress, made a real difference in someone’s life, the moments you are really proud of? There are so many rewarding moments! From a general point of view, we’re starting to internationalize our services. Worldwide people use U-exist services and we’re so excited and immensely proud of that. We love to see people from all over the world wearing U-exist customizations. We love it when they send us a photo and we post them on our social media platforms. It’s even amazing! From a more concrete point of view, the story of Arthur, with only four years one of our youngest users was one the most impressive one. Arthur was afraid of his original prosthesis. It was too similar to a human leg and too cold for a child. Further he was subject to being teased in school. Hearing his story, we wanted to help Arthur! By listening to him, we jointly came up with an idea: A new, personalized design to help him accept his prosthesis and change his perception about his own body. He saw his prosthesis as part of a game and became proud of it. From being at the receiving end of jokes, Arhus soon became the little hero of the class, in many ways due to his decorated prosthesis. We were so proud of that, so proud of him. Can you tell us a bit more about some of the people that use your services? ...Pernelle, a young woman and blogger. Aged 25 and having survived a severe meningitis, she wanted to re-discover her femineity. As she loves nature she chose our Iroko design and as a consequence become much more self confident than she used to be when wearing skirts. ...Ethan, 12 years old, passionate about hip hop dance. He wanted his prosthesis reflecting this spirit. Thanks to him we have developed our first dancer design - appropriately named “Ethan”. Now, Ethan proudly wears his prosthesis when performing his break dance routines. ...a woman of 70 years, wearing our Cyber Elfik design to show her super hero side. Besides these customers, we have also Athlete’s user. Like the amazing Jean Baptiste Alaize, a long jump champion. For him, we created a design that directly relates his inspiring and courageous story and the highlights of his life. As you can see, we have users from all walks of life, of all ages and all of them have their own stories. What is the most unusual request you have received so far? And how did you handle it? It’s hard to answer this question. But one day a woman request us to put the face of her cat in her prosthesis. Except that her cat was already dead. It was a special request, but we did it because that's what she wanted. Any new and exciting plans for the future? For the moment, we are working on a new project; i.e. the launch of a new collection. A Dentelle’s collection to break the taboos regarding the relationship between handicap and femininity. But at the moment I can’t tell you more. Let’s keep the surprise ;). And last but not least if you dream ahead, let’s say for five years, where do you see U-Exist then? As we wanted to democratize handicap through fashion, we would love to see if in five years, more orthopaedic centers and prosthetists worldwilde will offer our products and services. And by this way, more people from all over the world will be wearing U-Exist's designs. We simply want to show to people with a disability that they have the choice. Cindy, thank you so much for your time. One last thing: Where can people learn more about U-Exist? People can visit our website, follow us on Instagram and Facebook or come and pop by at our office in Roubaix in northern France.